You know what I’ve learned about baking with kids? The simpler, the better. I’ve made the mistake of trying to create really jaw-dropping desserts and show them all of the cool decorating tricks I know, and the result is always the same. 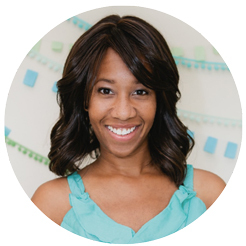 They start out being really excited about the recipe, but they’re soon overwhelmed by the complexity or bored with the seemingly endless steps. We’ve made all of the traditional holiday goodies in previous years. Cookies, cakes, pies. You name it, we’ve whipped ’em up. This year, we’re keeping it simple. 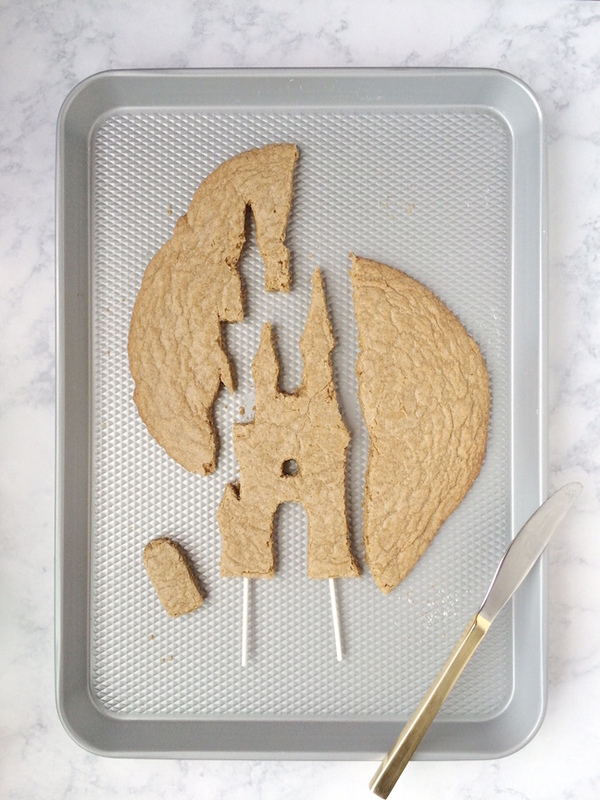 Instead of assembling a four-sided gingerbread structure, I kept our holiday baking project short and sweet so the girls wouldn’t get frustrated with a collapsing castle. I wanted to add a twist to a traditional gingerbread house. The girls are in love with all things Disney, and I don’t think anything captures the magic of the holidays quite like seeing the Cinderella Castle all lit up at night. 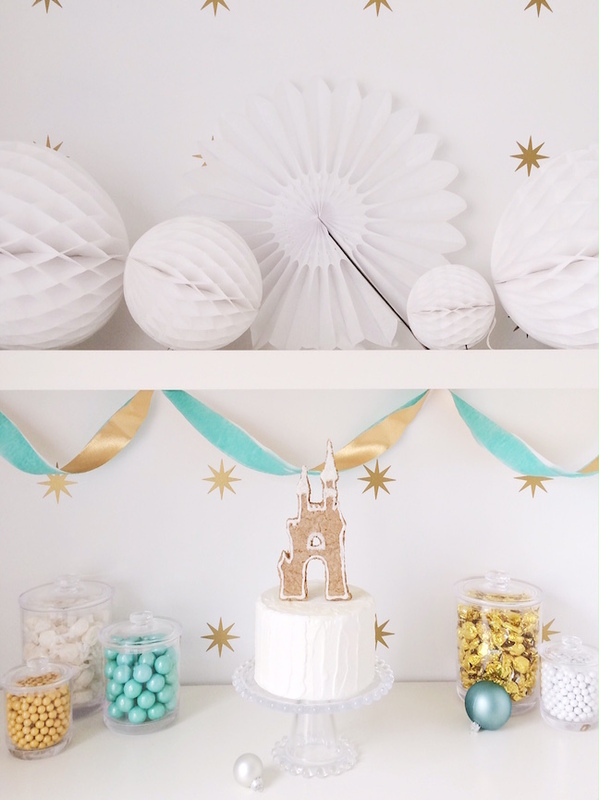 Combining their infatuation with princesses and our love of desserts, we created a DIY gingerbread Cinderella Castle cake topper. 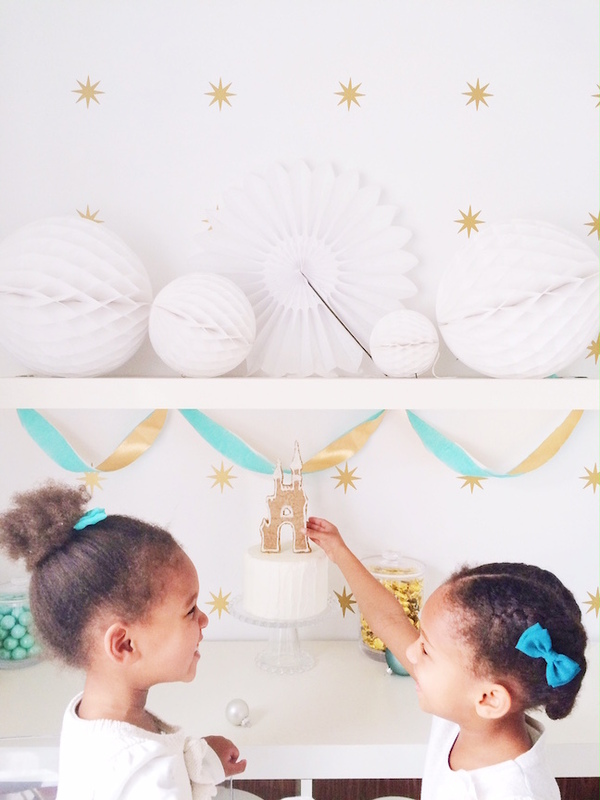 This project is simple enough for the kids to create and pretty enough to make your holiday guests ooh and ahh. 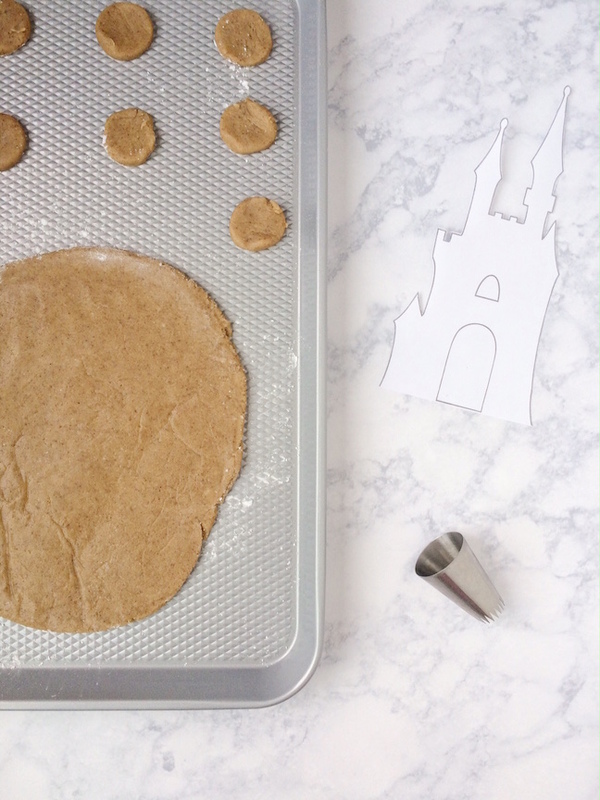 Step 1: Print and cut our Gingerbread Cinderella Castle Cake Topper template. Set aside. Step 2: Prepare and roll the gingerbread dough according to package or recipe directions. Cut a section of dough large enough to fit the template and place onto baking sheet. Use remaining dough to make additional drop or cut cookies. Step 3: Remove dough from the oven. Working quickly but carefully, place template on top of warm dough and cut around it with a butter knife. If necessary, use toothpicks to cut around the small, tight areas of the template. Insert one clean lollipop stick into each leg of the castle (see image 3). Set cookie aside to cool. Step 4: Mix confectioner’s sugar, egg white, and cream of tartar in a small bowl. Stir until the mixture is smooth. Pour icing into a piping bag or squeeze bottle. Step 5: Outline the perimeter of the cookie with the icing. Fill in the turrets with icing and dust with sanding sugar. Allow icing and sugar to fully set. Step 6: Gently insert the Cinderella Gingerbread Castle cake topper into the center of the top layer of a six-inch cake. That’s it! Our afternoon was frustration-free, and it’s nice to have a gingerbread house on display that my kids had a blast creating.